Duchlan Castle is a gloomy, forbidding place in the Scottish Highlands. Late one night the body of Mary Gregor, sister of the laird of Duchlan, is found in the castle. She has been stabbed to death in her bedroom--but the room is locked from within and the windows are barred. The only tiny clue to the culprit is a silver fish's scale, left on the floor next to Mary's body. Inspector Dundas is dispatched to Duchlan to investigate the case. The Gregor family and their servants are quick--perhaps too quick--to explain that Mary was a kind and charitable woman. Dundas uncovers a more complex truth, and the cruel character of the dead woman continues to pervade the house after her death. Soon further deaths, equally impossible, occur, and the atmosphere grows ever darker. Superstitious locals believe that fish creatures from the nearby waters are responsible; but luckily for Inspector Dundas, the gifted amateur sleuth Eustace Hailey is on the scene, and unravels a more logical solution to this most fiendish of plots. Anthony Wynne wrote some of the best locked-room mysteries from the golden age of British crime fiction. This cunningly plotted novel--one of Wynne's finest--has never been reprinted since 1931, and is long overdue for rediscovery. 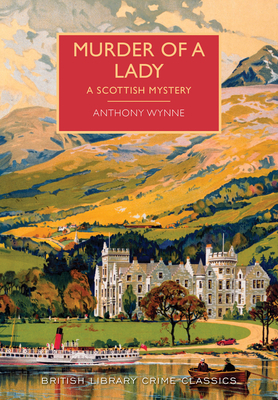 ANTHONY WYNNE is a pseudonym of Robert McNair-Wilson (1882-1963), who wrote twenty-seven detective novels featuring Eustace Hailey, a physician and amateur sleuth. He also published on economics and history, notably a biography of Napoleon.